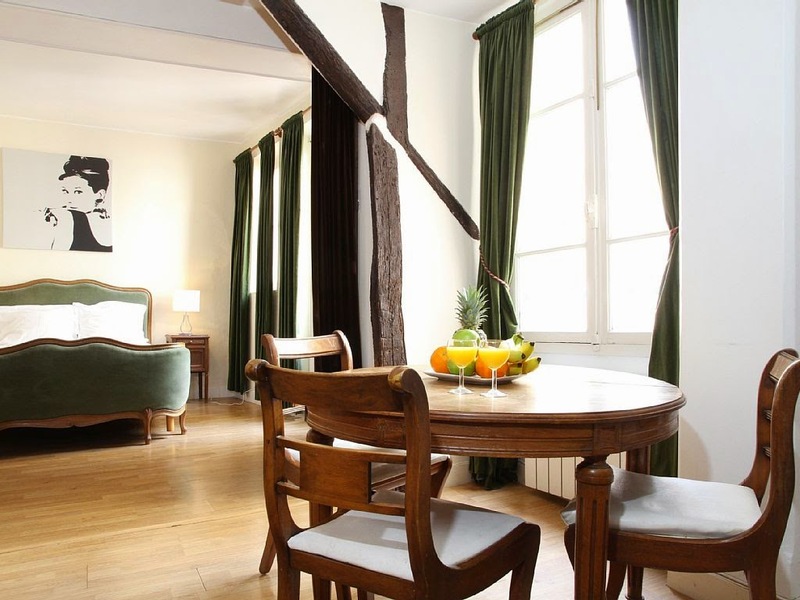 The 1st arrondissement of Paris is situated on the right bank of River Seine and one of the oldest in Paris. 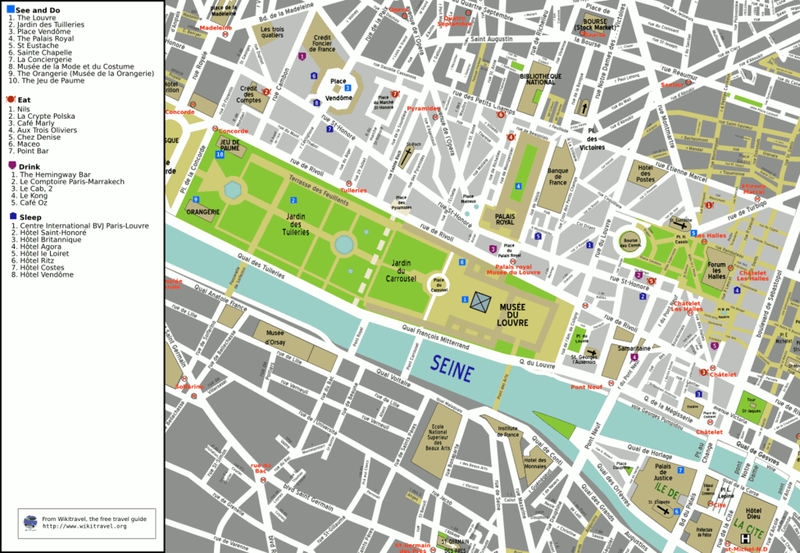 It is smallest and the least populated area of the city but it houses Louvre and Tuileries Gardens. 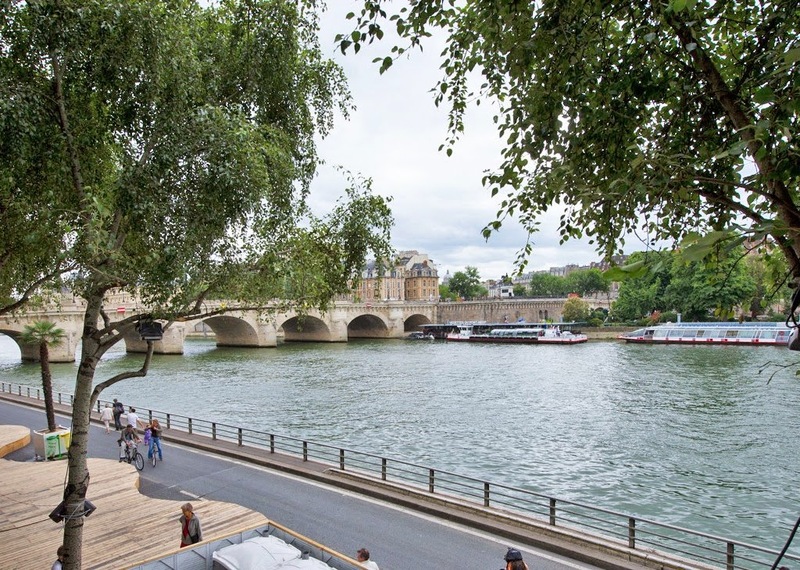 During our Paris trips we enjoyed the gardens, their beauty, play areas and watching Parisians with their kids or jogging/exercising. 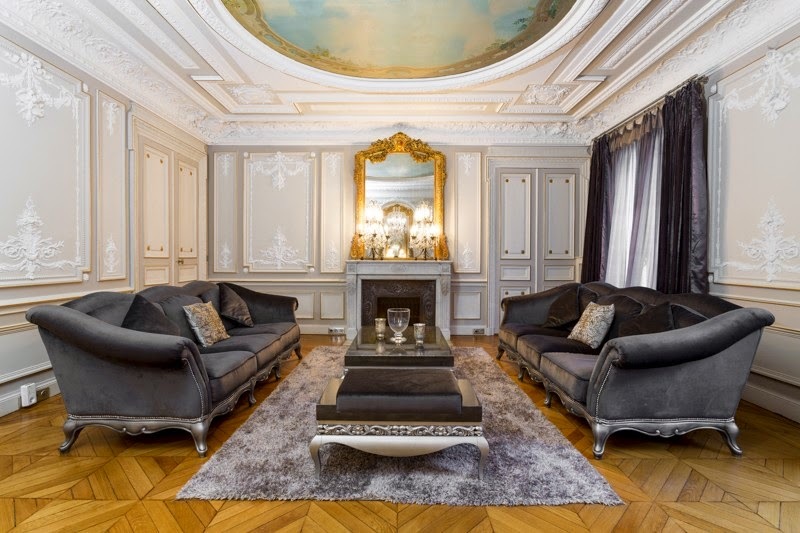 This is also a very central area if you are planning to visit Paris and while I enjoyed the St. Germain area - this one might be much quieter and very walk-able distance to all the interesting sites. 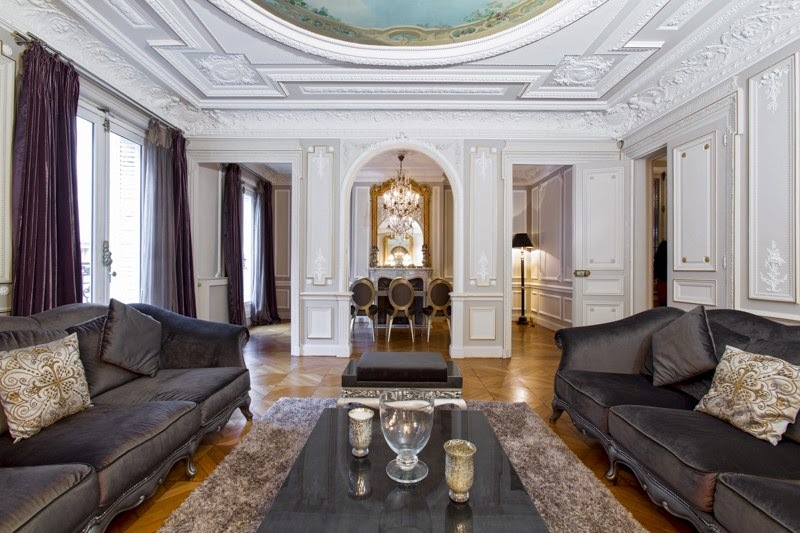 Here are some of the stylish Paris apartments one can rent during their their stay in the city - they offer different styles - it would be hard to pick one. 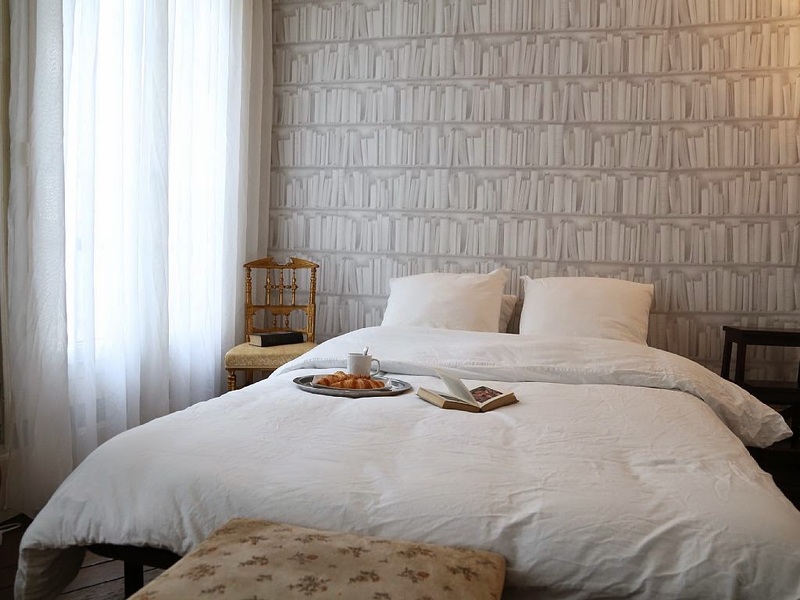 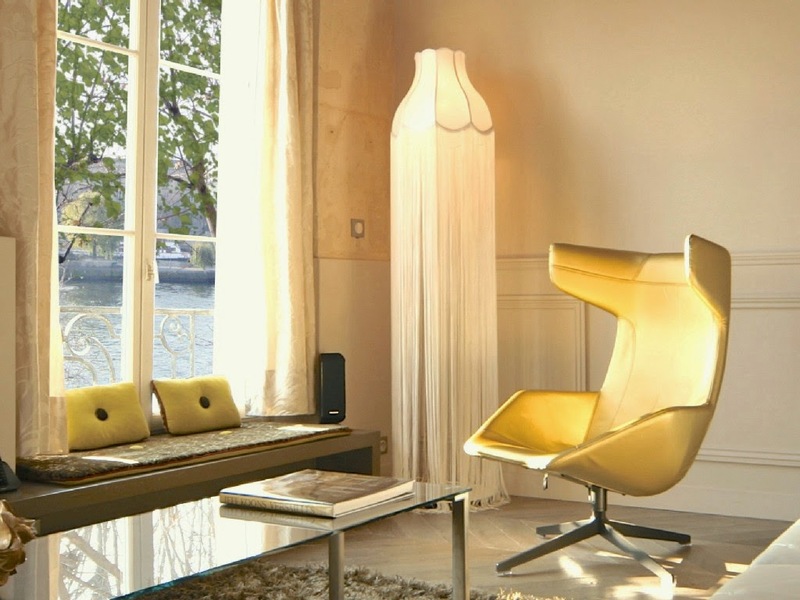 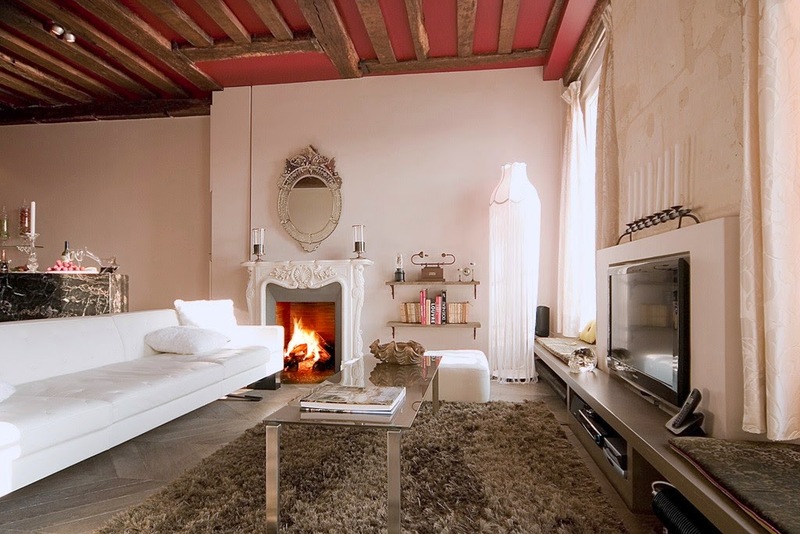 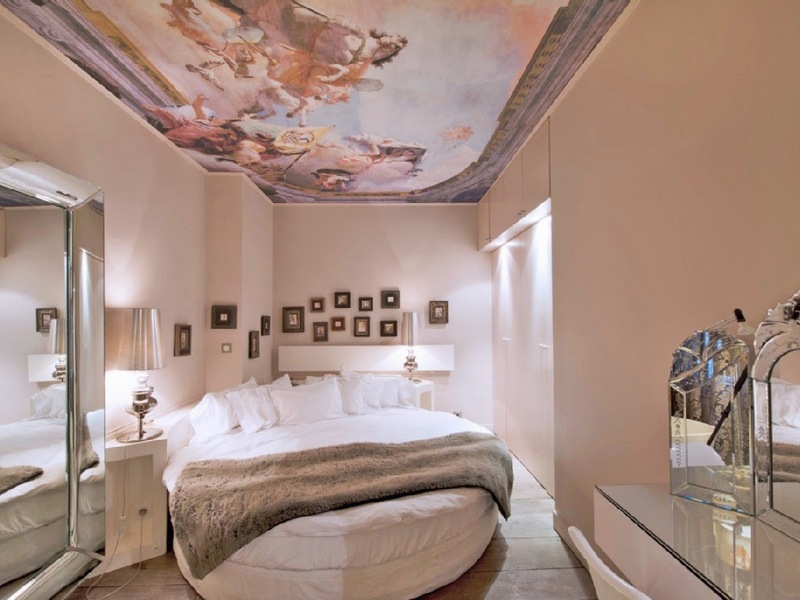 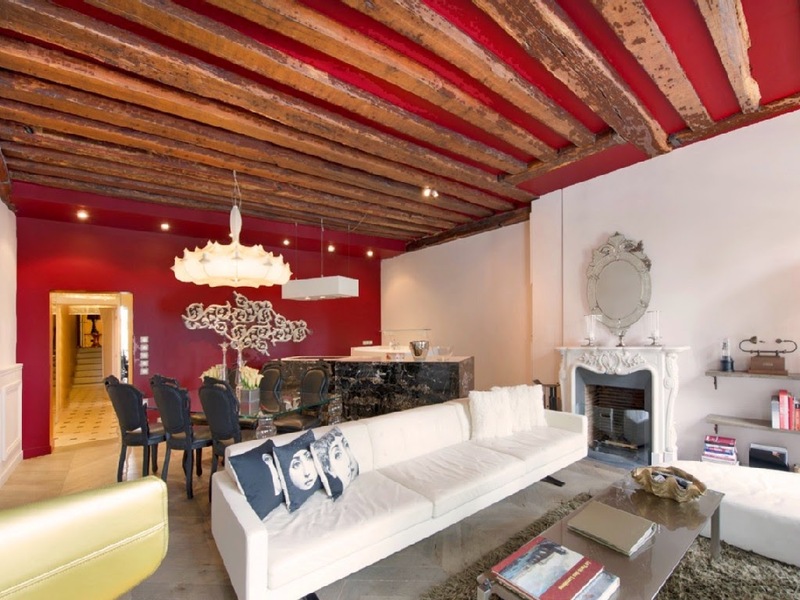 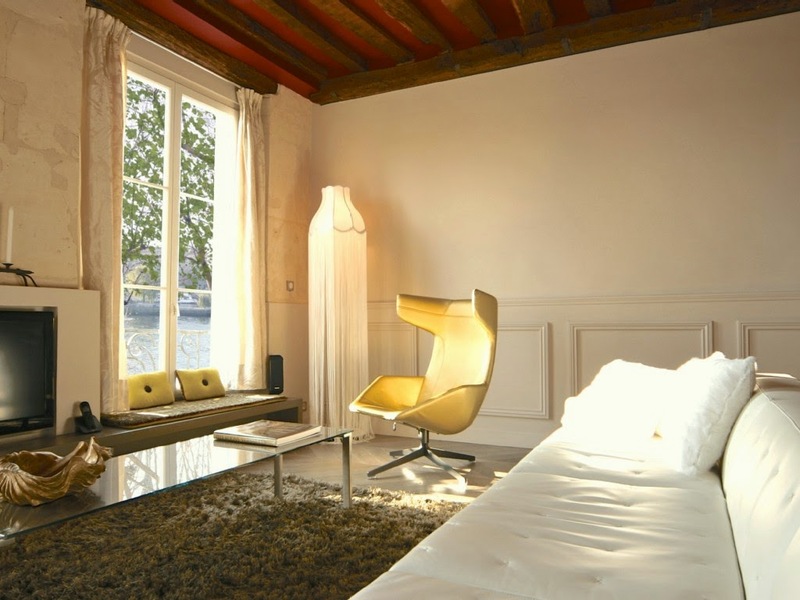 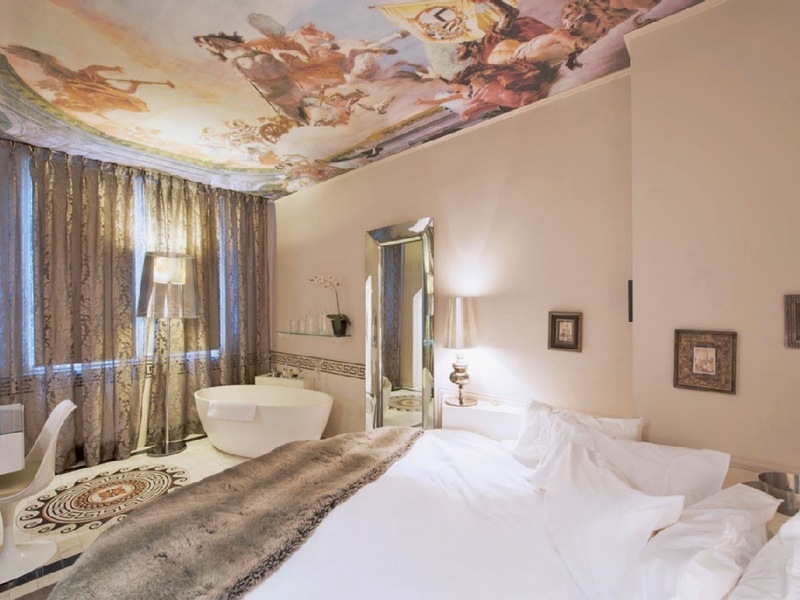 This is a contemporary baroque 1-bedroom apartment facing the river Seine. 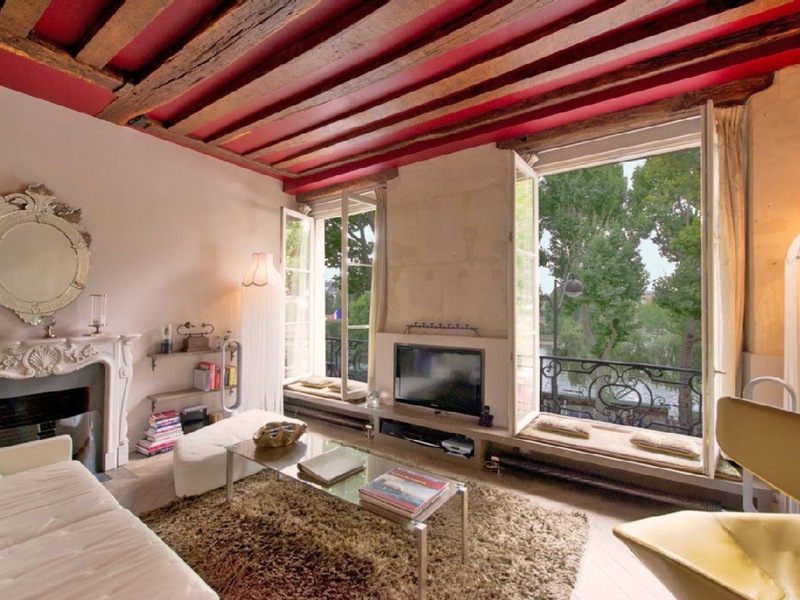 Can you imagine waking up to this view, sipping cafe and watch the passerby's?